Suitably festive London Underground Map by Tube Map expert Max Roberts! 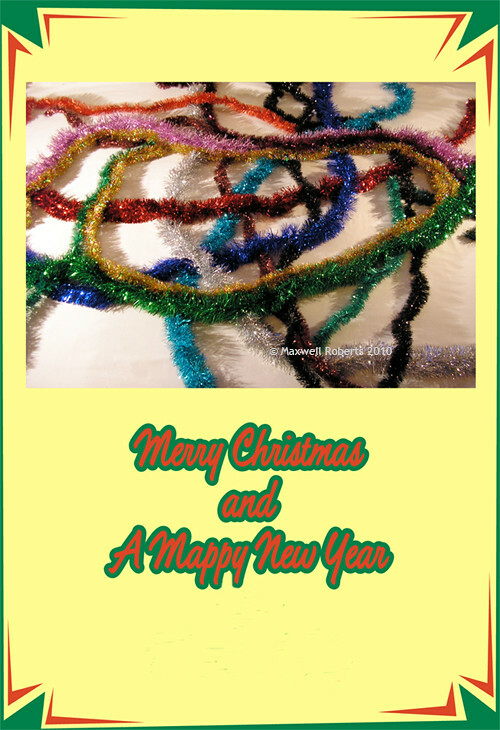 This e-card was a lovely idea and surprisingly I've never seen a tinsel version of the map before. It certainly reminds me of Max's excellent Curvy Tube Map. For all those looking for Christmas opening and closing times for the Tube, pop along to their site where there's a pdf and don't forget, the Boxing Day Tube strike by ASLEF, which is likely to cause "significant disruption" on most London Underground lines from 00:01 to 23:59 on Sunday 26 December 2010.